Every machine will eventually reach the end of its economic and technical life. 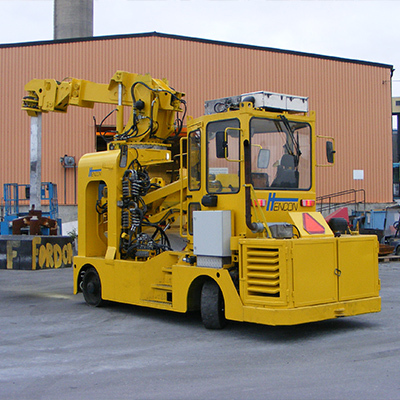 For potroom and casthouse vehicles, we offer the Hencon Overhaul Program. Suitable for both Hencon and non-Hencon models alike, our program will help you secure improved performance, simplified maintenance and cost reductions. 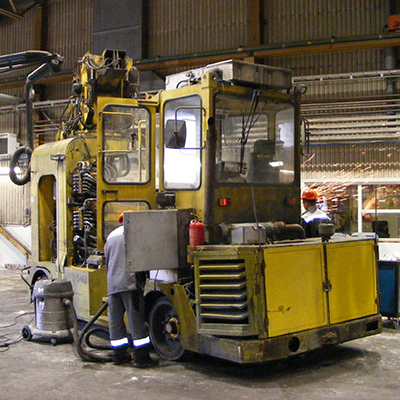 Rather than simply repairing or replacing parts, the Hencon Overhaul Program goes back to the original production status of the machine, rebuilding it on the basis of its existing structure and key components. All parts with a limited service life will be replaced or thoroughly overhauled. Our overhauled equipment meets Hencon’s highest specifications, the latest technology and proven genuine quality. The guarantee we offer is no different to the one you’d get for a new vehicle. A complete overhaul can be performed in three months, excluding shipping time. – Cost savings compared with new machines. – Implementation of improvements proposed by operation and maintenance crews. – Same guarantee as for a new vehicle. – Approximately 60% of the price of a new vehicle. – Fixed price option without any risk for the customer. – Check import duties with your local authorities or tax office.